This Valentine’s why not treat yourself and a ‘special friend’ to an evening of craft beer paired with classic punk love songs from the 70’s and 80’s. Join award winning beer writer Matthew Curtis at Peckham’s premier beer, record and hot sauce destination Hop Burns & Black for a tutored tasting with a difference. Expect to hear the sounds of The Buzzcocks, The Damned, Joy Division and more as Curtis leads a tasting of some of the very best craft beers being produced at the moment. Curtis has form in producing some of the most interesting and eclectic beer tastings in town and this event promises to be even more so. The cosy surroundings of Hop Burns & Black form the ideal setting for what is certain to be an evening that’s both intimate and romantic. Expect candles, rose petals, that sort of thing. The event follows the successful ‘No More Heroes’ beer tasting from October 2015 where Curtis and the team at Hop Burns & Black raised over £500 for Mind – The Mental Health Charity. 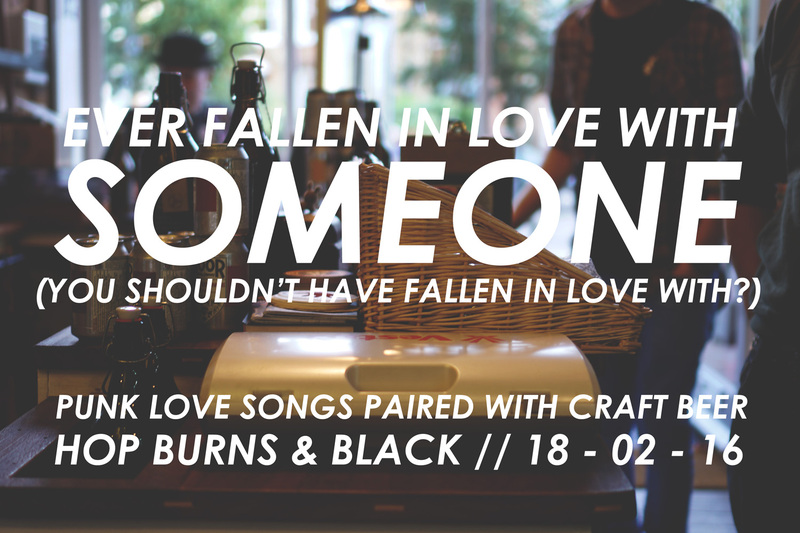 Hop Burns & Black isn’t a big space, so the event is limited to twenty tickets only.